Apologies of the unappetizing drip – a result of passing the tipple – I promise prettier vines next time. Wowza! Just when everyone was losing faith in my crusade to uncover the best wines under $10 – Eureka! I think we struck gold. Let’s go in the way-back-machine to about 30 days ago….I was hitting rock bottom, I could not respectably review the wines I was tasting, those bottles will remain nameless but for all intents and purposes, let’s refer to those wines as shite. A prior post recounted the events that led to the Tepranillo-Gate scandal. I was nearly impeached from cheap wine forever and I believe there were dark forces at work against me. There was a conspiracy behind that unfortunate event, alas alack, there is no point troweling through the past when the future is before us. In this instance, a cheap and cheerful Primativo. Primitivo or Zinfandel: are they cousins, siblings, identical twins? Primitivo is a descendant of the rare Croatian varietal Crljenak (pronounce that!) There is plenty of discussion about the differences and similarities of Primitivo and Zinfandel. The latter is often defined as the exact replica of the Crlienak while Primitivo is defined as being a clone. The difference? I’ll have to get into that in another post but you can do a deeper dive here. Read the debates online and decide for yourself, but when planted next to each other the variance is noticeable in size, bunch density and color. What’s the big deal? About $10-$20 in price. Primitivo is sold typically at a value between $10-$15 while Zins can be twice as much. Unlike Europe, U.S. labeling laws don’t allow the names of the two varietals to be used interchangeably. Hmmmm. Market forces at work. Well I notice a difference and maybe it’s wine stye, but the Puglian Primitivos, although intense in flavor, seem lighter in body, more refreshing (a touch chilled with a wedge of juicy orange – Mwah!) with a pleasant Italian bitterness in the finish that lends itself to the grape’s unique complexity. Zinfandels are jammier, fruit forward and I find them heartier, more body, tastes like California sunshine with a coastal breeze to me. This variance could be due to the propensity for Primitivos to ripen earlier (hence the name which means “early one”) which produces a younger tasting wine high in alcohol and tannins, which can mellow with age. This wine was rather delightful. Color in the glass is rich garnet like pomegranate juice. Nose is dark cherry, some light spice. First sip, mmmmmm, juicy rhubarb, rose petal, very smooth, rich, strong yet balanced tannins and a finish that departs as soon as you want another sip. Very enjoyable and also flexible for various food pairings. Will go great with stronger flavors like BBQ, venison and will complement richer fattier delights like foie gras or a densely marbled Kobe. If you were pairing wines for 4 courses, this would be best served with the main course. I actually believe this is caseworthy as it will only get better with time. Dude! Do the math, only $48.00 a case? That’s the price of ONE splurgy bottle of Zin…OMG! No me digas! Sacré bleu! Exclamation exclamation. I admire and appreciate your efforts to guide us through the bowels of cheap wine. You are a braver soul than I in doing the research. I thank you for saving me from the shite. Cheers! I love it! I also loved the Cali Zin I tried while I was there… You keep the good stuff for yourselves I noticed! 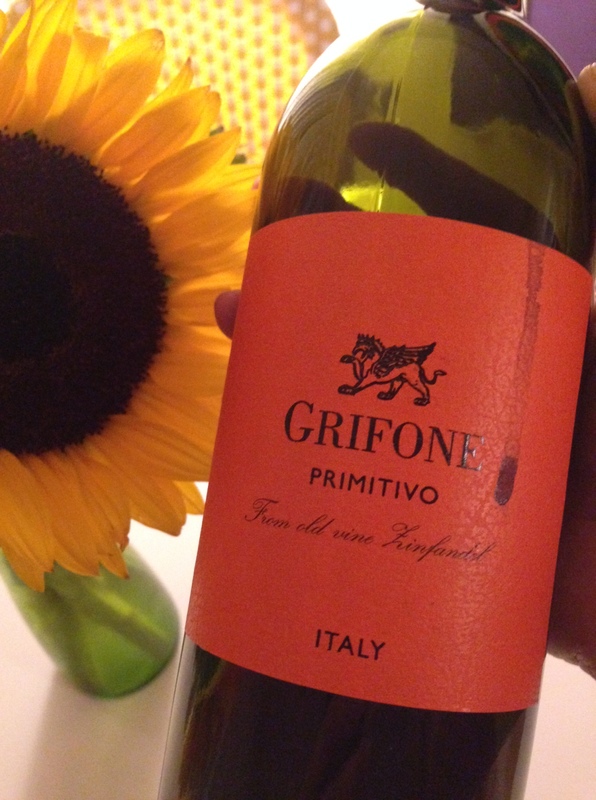 Primitivo is very underrated in Europe and good deals are available… But $3.99 is pure ridiculous!! It’s an insane price and the wine is actually good – which was a shocker – 10x better than 2 Buck Chuck – if you’re familiar with that store brand at Trader Joe’s – the Mecca of gourmet value. Glad you had some great Zins while you were here – good stuff.